Good morning from everyone here at Zims! We make it our mission to help ease the pain of sore muscles so you can get back to your regular workout as quickly as possible. However, the question is often asked “what’s better for pain relief: Heat or cold?” In truth they can both be helpful so we thought we’d go over the pros and cons of both. 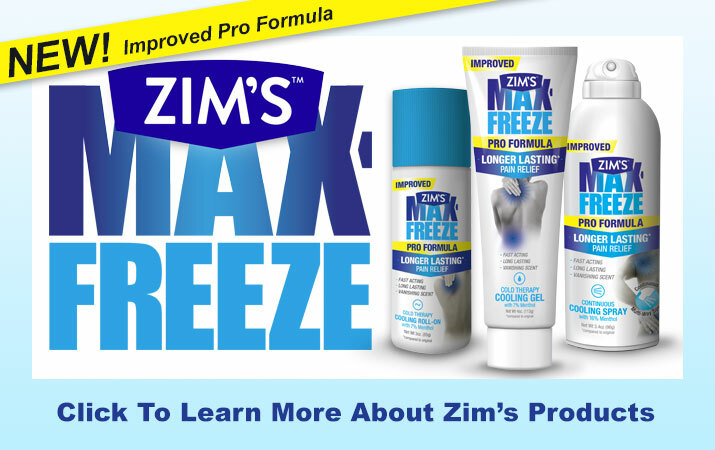 Cold treatments such as ice packs, cold compresses and our Zim’s Max Freeze products are helpful for swollen muscles, tenderness and inflammation. According to Dr Anne Rex “…ice wins for acute pain inflammation and swelling. Heat perpetuates the cycle of inflammation and can be harmful.” You can also use an ice pack to help bring down a high fever or other ailments. Heat treatments such as heated towels, hot water bottles and heated blankets are helpful for treating chronic pain and less for injuries. Any pain that lingers more than 6 months like osteoarthritis or tendinitis can be helped by heat so the muscles can relax and become more comfortable. Which strategy do you prefer for muscle discomfort and pain? Do you have a well thought-out course of action or do you wing it trying a bunch of different approaches each time? Let us know in the comments section.